This was a gift from my friend Andy. He was recently traveling in Belgium and commented on how good this beer was. He then found it here at State Line (link) and brought one in for me. It’s funny that with over 125 Belgians under that wide belt of mine I never had this one. I have seen it at the store and it has been recommended to me in the past but I have never picked it up. Well, now thanks to Andy it’s here chilling in the beer fridge waiting for me to try it. So let’s get started. 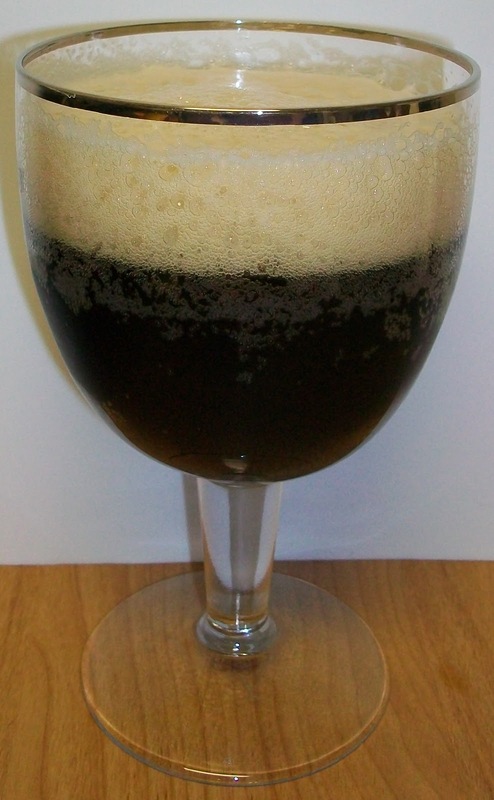 The bier pours a hazy dark brown with amber hues, almost completely opaque with just a hint of amber of the edges and bottom of the chalice. The bier produced a fairly rich off white to tan head. The head is diminishing but it looks like it will stick around and leave some lacing. The nose is delightful. This is more like a Quad or Black (stout), very nice. 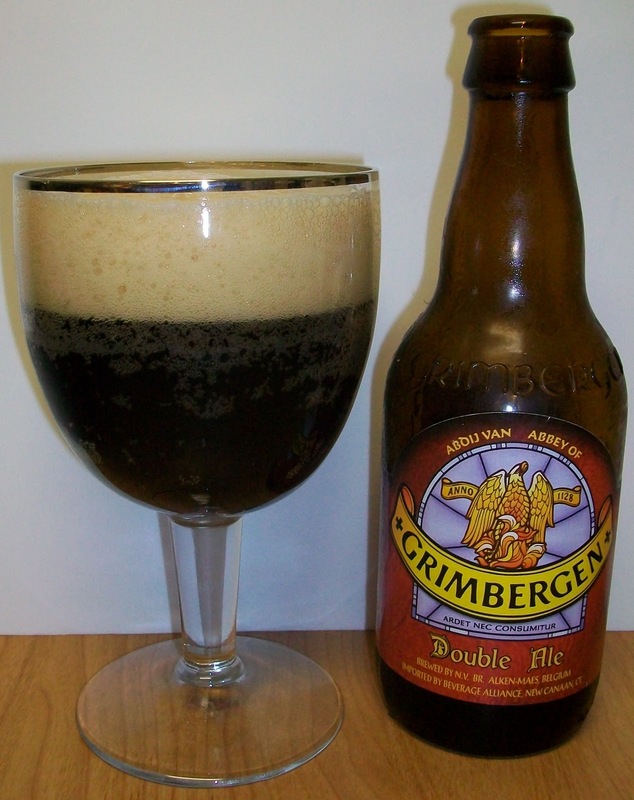 There are rich aromas of dark roasted malts, chocolate, dark fruits and those classic Belgian yeasty notes. This is extremely inviting I can’t wait to dive into it. Wow, that was nice. Smooth, rich and creamy; what a wonderful first sip. The strange thing is that for as rich and creamy as it appears it is also fairly light and refreshing. I know that is a contradiction, maybe it will sort out as the review progresses. The taste starts out with a dark malt sweetness up front on the tip of the tongue. Then the most pleasant mid-sip with a building malt richness and creaminess. The malt richness never gets overwhelming or bitter it carries the most pleasant mouthfeel into the back-end. The back-end is extremely easy drinking for such a malty bier. There is a carbonation release during the swallow that seems to add a refreshing quality to this experience. This refreshing quality carries through to the finish. I think this is what had me confused on the first sip. The finish is where you expect the rich malts to linger and leave a stout like coating in your mouth. But this finish is fairly dry and refreshing for a Dubbel. Some may find this back-end and finish is watery for a Belgian Bubbel but it maintains a great malt flavor and then gives you a surprisingly unexpected refreshing finish. There is a slight lingering aftertaste of caramel to roasted malts along with a lingering yeasty note as well. All and all I am quite pleased with this bier. It may end up low in a style rating for a Bubble but it is a very enjoyable brew. I only say that because Bubbels usually have a richer malt finish to them. Actually if this was one of the Trappist I would suspect that it was a young bier that needed to mature a little longer. I’m going to let this warm a little and then get back to it. This has been so refreshing I’m almost finished the glass and haven’t given this time to open up any. We are now at 65 degrees and this has really opened up. It is tasting more and more like a Belgian Dubbel as with warms. It may be that there is less carbonation now but at any rate it is smoother and richer than it was. The head has never really quite on this bier. Even now when there are only a few sips left there is a nice protective layer over the top of the bier and it has left decent lacing all the way down. Even those last few sips close to room temperature were pretty refreshing. I’m not sure if this was bottle conditioned or not so let me pour the last few ounces and see. It does not appear to be. The bottom the bottle taste pretty much like the rest of the bier. That may also be a slight negative for the Bubble style rating. Ahhh, good to the last warm drop. Now that’s a major plus in my book. This bier is also fairly light in alcohol at only 6.5%. That is a typical percent for most Belgian Blondes/Pale Ales. In this case it really works to it’s advantage in making this very refreshing. At least you can have several of these and not feel it. All and all I’m really enjoyed this bier. It is very light for a Bubble and it does not have the complexity of the style. It may have some shortcomings for a Belgian Dubbel but I think the positives more then make up for it. My only real disappointment is that I only had this one; I would certainly enjoy having a few more right now. This has been a very nice experience and at only 6.5% this could replace a Leffe Blonde and be my everyday Bubbel. I’m going to give this one a B. That may be a little high for the style but this is such a clean refreshing bier I feel compelled to give it a B. It does lack some complexity and the rich malty finish that you would expect for this style but this bier more than makes up for that in its overall enjoyment. Thanks Andy for sharing this excellent bier with me.